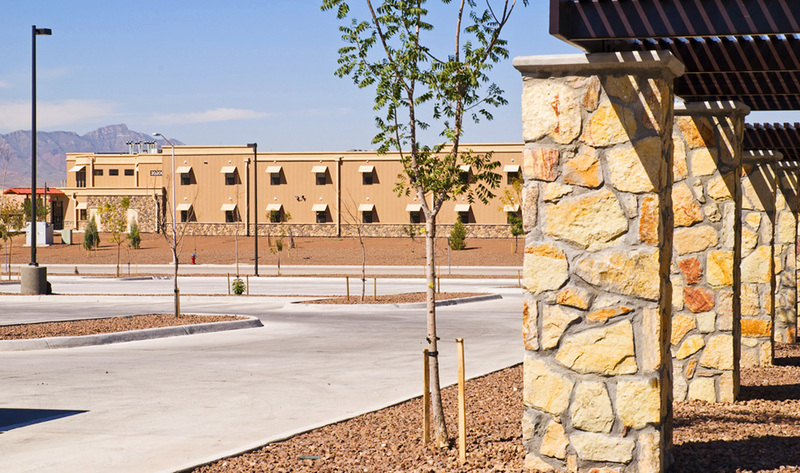 Benham served as Lead A/E for the Design-Build of 33 Unaccompanied Enlisted Personnel Housing (UEPH) complexes consisting of a total of 1,800,000 square feet of two-bedroom apartment buildings. The basic unit is composed of two sleeping rooms with private bath and closet and a shared kitchen area. 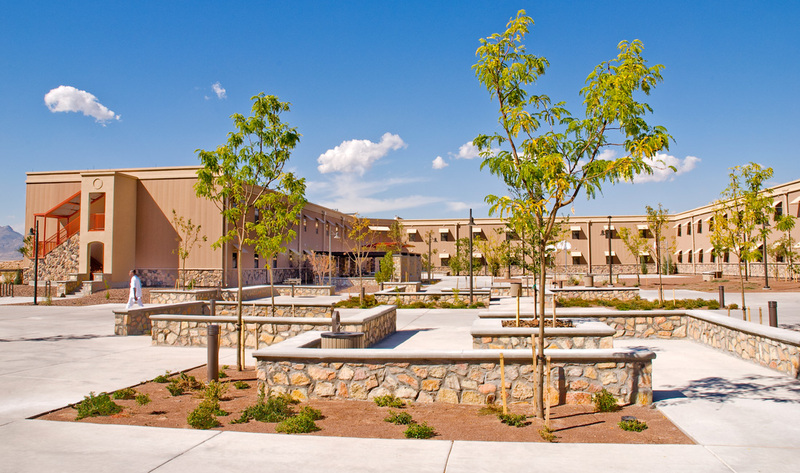 The complexes were designed to provide comfortable apartment-style housing while creating a livable and sustainable community for 4,800 enlisted personnel. The Design-Build Team’s approach to achieve these overarching goals was to configure the UEPH buildings in a U-shape that created smaller, building-based communities within each building’s internal courtyard. The buildings were oriented to provide easy access to the nearby parking areas. The design became the Fort Worth District standard for Unaccompanied Enlisted Personnel Housing (UEPH). The 11 UEPH complexes of BCT1 received LEED – Silver certification from USGBC.